I am thrilled to say that Series Four is now available. In Series Four we focus on the presence of God and learn some practical keys to experiencing His presence in a consistent and ongoing way. We then look at how God calls us to actually live in His presence all the time by taking the conscious sense of His presence into our daily lives. When we abide in God’s presence, we can begin to easily minister to other people in His love and release His grace and power. 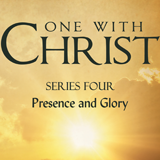 In many ways, the material in Series Four reflects the lessons that God has taught me as I have sought His presence. The experiences that I’ve had in the presence of God have been awesome beyond description. At times His love has overwhelmed me. At other times, His compassion has left me completely undone. Jesus is so much greater than we could possibly comprehend. Psalm 113 says that He is so awesome that He has to humble Himself just to look upon the universe. So any attempt on our part to imagine the glory and love of God will fall short. However, when we come into His presence we get to experience the love that our minds simply cannot comprehend. In His presence we get to know the unfathomable love of Christ (Ephesians 3). Through actual experience, we come to understand David’s heart when he wrote that his one request was to dwell in the presence of God and behold His beauty for all the days of his life. The presence of God is the place where we can taste the addictive reality of the love of Jesus Christ. The time we spend in His presence can be so transforming, fulfilling and life-defining that I find it hard to believe that I spent so long ignoring the presence of God that was always with me. My heart and prayer is that God would confirm the words of these studies and draw you into His awesome presence, over and over. May His presence become your home. May it be your life and your lifestyle. Like the previous books, it has again been a long journey to getting this completed. I would like to thank all those people who have been in touch regarding Series Four for their kind emails and patience. May you be richly blessed. As always, please feel free to contact me with any feedback you may have about the studies. I’d love to hear from you.